S:S&S EP must have been the most anticipated iPad game to date. Now that I have finished it, I have to say it truly deserved every bit of attention that it got. It’s a highly polished and stunning audio visual experience unlike anything else that has been released on the iPad so far – or any other console. The special thing about it is the way it was developed. 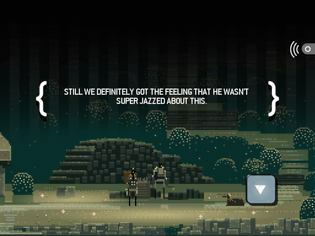 S:S&S EP is the result of a collaboration between Jim Guthrie (music), Craig Adams (pixel art) and Capy (development). You can think of it as a progress where art and music were created together to enrich each other and then get implemented in a way it makes fun to play with it. This creates a synergy effect between the single elements of the game that makes the experience much richer than the sum of its parts. 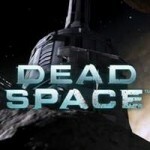 It is a very time consuming progress and that’s why it differs quite a bit from the usual approach of game development. The fact that the game was built with and around the music is also the reason for the “EP” suffix. In its core, S:S&S EP is a point and click adventure with two distinct modes, depending on how you hold your iPad. 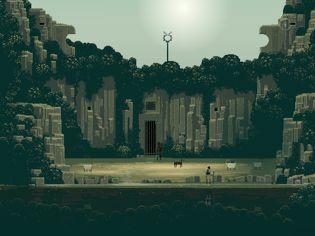 Most of the time you will play in the horizontal “Sworcery” mode in which you explore the world around you, solve puzzles and interact with other characters. Talking to the characters will give you helpful hints on how to solve the next puzzle and will also shed more and more light on the story. Dialogues are no longer than 140 characters which makes all of them tweetable – and the game let’s you do so with the tap of a button. The puzzles are usually solved by interacting with the environment in certain patterns and were always fun to figure out. Unlike traditional point and click adventures, you won’t have to collect, combine and use items which makes S:S&S EP much more straightforward. Occasionally, you will encounter a fight that makes it necessary to switch to the vertical “Sword” mode that will bring up a block and attack button. To master the fights you will have to analyze your opponents attack patterns and then react to them with blocking or attacking at the right time. It plays much like the classic “Punch Out!!”. While combat is infrequent, it definitely spices the gameplay up and it will become pretty challenging later on in the game. But when I think of S:S&S EP I like to think of the gameplay mechanics as just being there to tie everything together. What makes this game so outstanding is the audio visual trip that lies ahead of you. And what a trip it is. 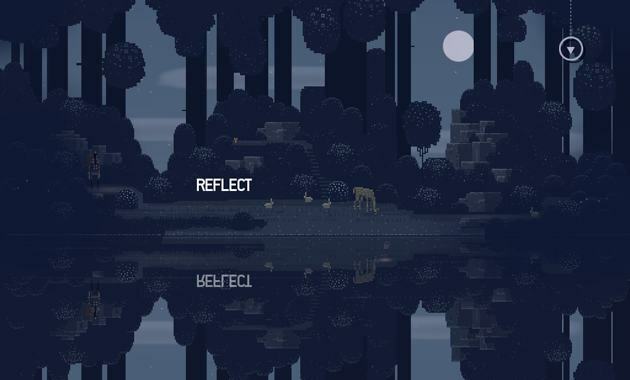 When you wander around the world and suddenly Jim Guthrie’s music sets in to accompany Craig Adams’ pixel art it creates a fantastic atmosphere. If you like this kind of immersion into another world, don’t hesitate and get this game. It’s currently available for iPad only with a fair $4.99 price tag. An iPhone version is planned to hit the App Store later this month. 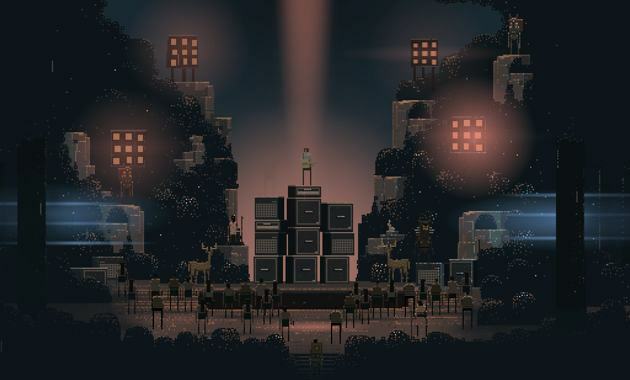 And if you can’t get enough of the music, you can grab Jim Guthrie’s new album “Sword & Sworcery LP: The Ballad of the Space Babies” which will be out on April 5th. Rayman Jungle Run Review For iPhone - Yep, It's Awesome!